Families with income of $1,900 or below can apply for public transport vouchers at community centres from now till 31 October 2019. More than 150,000 households have applied for Government vouchers to cushion the impact of an increase in public transport fares as of 12 December, a month after applications opened on 12 November. The public transport vouchers, worth $30 each, can be used to top up or buy fare cards or monthly concession passes The Ministry of Transport (MOT) and the People's Association (PA) gave the update in a joint statement on 24 December, adding that grassroots leaders have reached out to needy residents to inform them about the vouchers and help them with applications. The vouchers, of $30 each, can be used to buy or top up fare cards or buy monthly concession passes. To help needy families cope with the fare adjustment, the Government announced earlier that it will disburse $9 million from the Public Transport Fund, or 300,000 vouchers. This will be the largest number of Public Transport Vouchers available in a single exercise. The Public Transport Council announced in October that adjustments to public transport fares will kick in from Saturday (29 December). 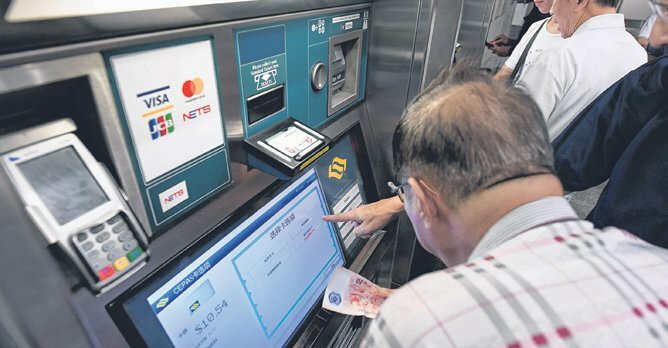 Bus and train fares will rise by $0.06 per trip, while single-trip train fares and adult cash bus fares will rise by $0.10, among other changes. Part-time relief childcare teacher Selina Goh, 58, who takes the train or bus to her workplace or the wet market about five times a week, has applied for the voucher. Ms. Goh, who lives with her husband, an odd-job worker, said, "I do not enjoy the benefits of the senior citizen concession card as I am not 60 years old yet. These vouchers from the Government will be useful and help lower the transport cost for me." Households with an income of $1,900 or below, or a per capita income of not more than $650, are eligible for the vouchers. Applications end on 31 October next year. If successful, each household will receive one voucher. Those who need more vouchers can apply through community centres or clubs. The Citizens' Consultative Committees will assess each application and have the discretion to help deserving cases who marginally miss the criteria, said the MOT and PA. Residents may approach their local community centres if they have any queries, they added.